Earlier today, it became official – starting next season the Rangers AHL team will no longer be called the Connecticut Whale but will instead revert back to being the Hartford Wolfpack. It’s birthday week! No really, it is. We have one more after this one. Today everyone’s favorite rookie turns 22. And what a season it has been. Last year at this time we were discussing if he should be playing in the playoffs or not. After that run, fans assumed he would lead the Calder race whenever this season began. Instead, he had a back and forth season making his rookie season a forgettable one. But we’re not here to talk about the bad so let’s remember the good, shall we? Of those four postseasons, the Rangers and Caps have met three times (inlcuding this year) in the first round. As I’m sure everyone knows, the Caps won the first two series in seven and five games. Last year, meeting in the second round, the Rangers finally defeated their foes in seven games. So expect the series to go for a while. I will probably change my mind after watching game 1 (which we still don’t know when is) but I’m taking the Rangers in six. Yes I know the Caps are playing well right now but I think the Rangers can beat them. I just hope we don’t have to go through game three and five of last years’ series again. It wasn’t a good weekend for the Whale as they lost both of their games in regulation to the Albany Devils on Friday and Portland Pirates on Saturday by scores of 3-2 and 5-1. Kris Newbury and Christian Thomas had the goals against the Devils with Marek Hrivik getting the loan goal against the Pirates. In the mess of games and playoff implications all week, I’ve slacked off in writing about news regarding players in the Rangers organization not currently in New York. While all of this is probably known, it’s been a busy week in Rangers-land. On Wednesday, the Whale signed defenseman Charlie Dodero and forward Michael Kantor to Amateur Tryout (ATO) agreements. Both players had played for the Sudbury Wolves of the OHL this season and are from Illinois (more Americans in the system!). Dodero had 7 goals (highest for defensemen in Sudbury this season) plus 20 assists and 97 penalty minutes in 67 regular season games plus one goal, two assists and 18 penalty minutes in nine playoff games. Kantor had 20 goals and 13 assists along with 93 penalty minutes in 56 regular season games plus 2 goals, 2 assists and 12 penalty minutes in nine playoff games. 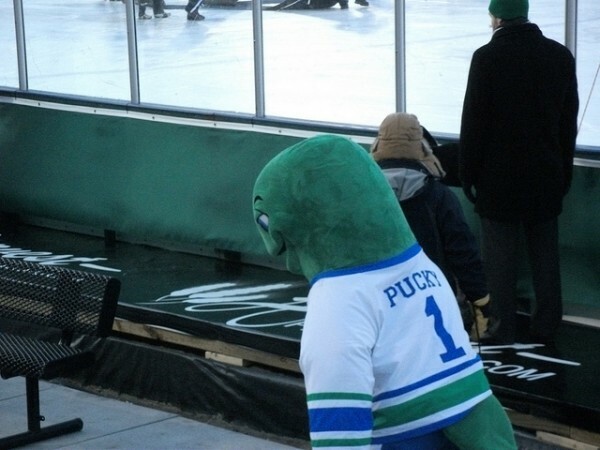 Sounds like two bruisers for the Whale’s playoff run although neither played in the Whale’s game last night. 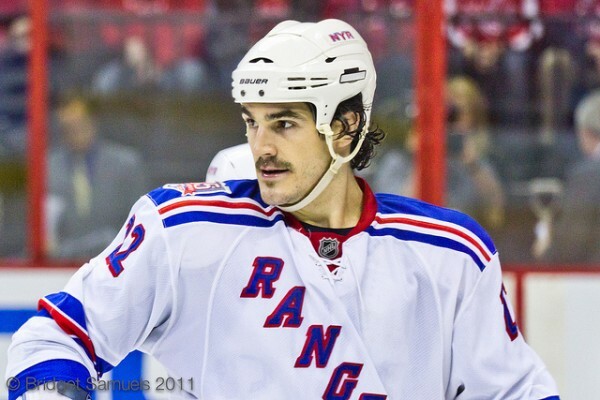 It was announced this morning that Brian Boyle would be out indefinitely with a “lower body injury”. It is believed to be a right knee issue. Out indefinitely probably isn’t good news but he has been seen around the training center the past two days and did walk out of the arena after the game Tuesday night on his own so fingers crossed it’s nothing serious. In his place, the Rangers recalled Chris Kreider. My initial reaction? Pretty sure you all know what it was. We’ll see what happens but if Boyle is okay in a couple of days and he gets sent back down, I give up. I just think at this point he needs to be in one place and stay there. Maybe this isn’t a temporary injury, though, so they wanted to bring someone up they knew could adjust quickly. Either way, he better not be on the fourth line tonight. In other news, Derek Dorsett has been skating the past two days (he got to do the infamous training camp drills today) but still can’t take contact. It sounds like he’s on track though so hopefully he will be ready in the next week or two. Marc Staal has also been skating, with contact, even though he can’t see completely out of his injured eye. For now, I’m not touching that but needless to say I don’t get it. I want Staal back but if he can’t see, keep him off the ice. But I guess he and the doctors know something I don’t. You can read about what he’s going through (just typing it worries me) and all today’s other news here thanks to Andrew Gross (who is a must follow for Rangers fans, if I haven’t implied that already). The Whale entered the home stretch to the playoffs this weekend with their last 3-in-3 of the regular season, all games coming on the road. On Friday morning, they had a playoff spot. By Sunday night, they were clinging so tightly to it as this was definitely a weekend the boys would like to forget. Friday night the Whale were in Manchester for a match-up with the Monarchs. The game started well as Chris Kreider scored a beautiful power play goal late in the first period with assists to Benn Ferriero and Kris Newbury. Unfortunately that would be all the Whale could muster as the Monarchs scored three unanswered goals (Weal, Pearson and an empty-netter to Kozun) over the last forty minutes to take the 3-1 victory.